Sally Mauk: Welcome to "Capitol Talk," our weekly political analysis program. I'm Sally Mauk And I'm joined by veteran capitol reporter Chuck Johnson and University of Montana political science professor Rob Saldin. SM: And Rob two new polls show the House race between Greg Gianforte and Rob Quist is narrowing from double digits to within six to eight points with Gianforte still leading but is getting closer what's going on do you think? Rob Saldin: Well I think in some ways this isn't surprising. Gianforte as everybody knows just ran for governor. He has name recognition through the roof. I'm not sure that there is anyone in the state who's not aware of who this person is. And so it would be normal for a person in that position to start off with a big lead running against a political novice. And I think over time a lot of times what you see is that lead narrows. Now this is narrowing maybe a little bit more than we would have expected. And that may be an indication that some of Quist's attacks on Gianforte are starting to pay off. 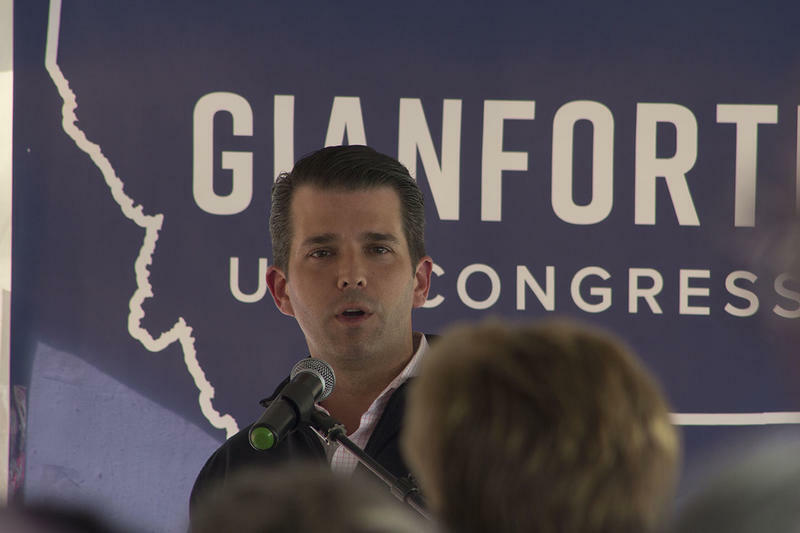 SM: Well the tightening race has brought to Donald Trump Jr. back to Montana and Vice President Mike Pence to stump for Gianforte. 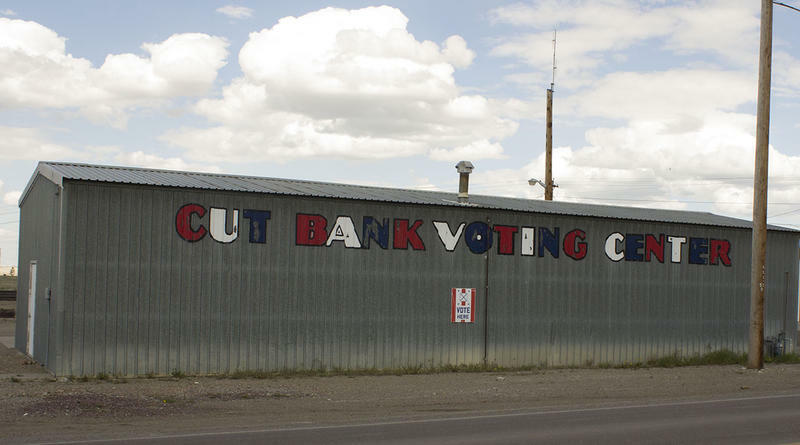 And Trump Jr. even went to the Democratic stronghold of Butte with this positive message. "Hey, we're in Butte, look at what we've done as it relates to the mining industry. The rollback of some of the nonsensical regulations that have put that industry out of business. That's not just about jobs. It's also national security. If we can have that energy independence, if we can utilize the resources that we have in our ground and put our men and women to work. I mean that's like a triple win." SM: Rob, job creation is a big selling point for both Trump and the Gianforte campaign. RS: Right. An old classic theme from Gianforte, and also reducing regulations to help spur jobs. This is obviously Trump Jr's second visit. Vice President Pence is making an appearance too. You know one thing that strikes me, no one can accuse the Republicans of measuring the drapes during this campaign. They are bringing out all the stops. Vice presidential visit is a big deal. But you see, I think, in this Trump Jr., visit these events are very similar to what we saw a few weeks ago in his first visit. One thing I did notice though is that the crowds this time are a little bit smaller and that's not totally an apples to apples comparison; they're going to different cities and people who showed up last time maybe are a little less likely to go again. But still, might be a little concerned if I was in the Gianforte camp that this is perhaps, in addition to those polls, another sign that maybe the thing is a little closer than expected, maybe Gianforte doesn't quite have that enthusiasm that they would hope for at this point in the campaign. SM: And there were protesters at the Gianforte campaign stops like Jim McDonald of Butte who supports Rob Quist. "And the need to send some normalcy back to D.C. I mean, if the last few days are an indicator of what's been going on for the last 110 days since Mr. Trump has become president. It is absolutely bizarre. And I long for the days of a little no-drama Obama," McDonald said. SM: And Rob, will the ongoing drama of the Trump administration help Quist with voters who don't like the drama? RS: Right. Well this would have always been the concern about associating yourself so strongly with Trump. You know we've talked about this before last November. The Gianforte people think that they didn't get enough of the people who voted for Trump to vote for them, so their goal this time is to try to bring those people in. And thus Trump Jr's visits and Pence's visits. The concern though is that it could backfire. And we've seen passage of the health care bill in the House as well as the firing of Comey this week create a lot of chaos. And concern is that, you know, you want to attach yourself to Trump to get those voters, but it could end up biting you. And up till now of course we should remember that Trump has always managed to bounce back from this. He does have a loyal base of support that no matter what happens, seems to stick with him. And so it's not clear to me that this is going to be any different than what we've seen. But if you're in the camp that you have to be concerned about that I think. SM: Chuck, one of those people campaigning with Greg Gianforte this week was Attorney General Tim Fox who called Gianforte "one of the greatest Americans he's ever met." And I think it's interesting to see Fox out on the campaign trail. Chuck Johnson: Well it certainly is Sally, especially given the speculation that Tim Fox may run for the U.S. Senate seat held by Democrat Jon Tester in 2018. Previously he'd been thought to be looking primarily at the governor's seat which will be open in 2020 when Governor Steve Bullock leaves office because of term limits. I had checked last week with Tim Fox's spokesman and he basically said, well we don't have anything to say about anything more than we've already said, so he's out on the trail. You know, it caused me to wonder a little bit if he's trying to befriend Gianforte in hopes that Gianforte won't challenge him if he runs for one of those races. So lots to wonder about. SM: Another person hitting the campaign trail for Rob Quist is Bernie Sanders. He's going to be coming to four Montana cities: Missoula, Butte, Bozeman, and Billings the weekend of May 20th and 21st. He will likely draw a big crowd that will be very enthusiastic. RS: Right. So we can definitely expect big crowds. He crushed Hillary Clinton in the Montana primary for president, drew a very large crowd in Missoula about a year ago. And he is coming just a few days before the end of this campaign. I think if you're the Quist people you might have wished he was coming this weekend or last weekend or something. But still it should be a shot in the arm for the campaign. One question though I guess is how far does that trickle down? The Democratic voters are already very enthusiastic about this campaign. So it's good for them. But you worry does it turn off people in the rest of the state who otherwise might not be enamored with Gianforte and open to Quist, but don't necessarily like the idea of liberal Washington politicians coming in here. All eyes are on Montana. The reason it has national significance is the votes in the House are going to determine whether we get tax reform done. Sounds like we just passed a health care thing, which I'm thankful for and we're starting to repeal and replace. SM: That sounds like a mixed message. RS: Yeah definitely and people don't like mixed messages, especially when one of those messages is being conveyed to a bunch of elite insiders and differs from your public message. You know I think the other thing that's maybe notable about Gianforte on health care was his interview this week with Eric Whitney here on MTPR. I thought it was pretty rough. Seemed as though Gianforte just wasn't very comfortable saying anything beyond his stock two sentence talking point. And of course in one way that's not exactly surprising. Most Americans aren't very conversant in health care because it's very complicated. But, it's not unreasonable to expect a little bit more, I think, from an aspiring congressman. And he does have a nice talking point. He says he wants to repeal and replace Obamacare with a plan that's going to reduce premiums while maintaining protections for those with preexisting conditions. But the problem is that those goals are very much in tension. Doing one or the other is easy, but doing both at the same time isn't unless you want to massively overhaul American health care like adopting a single payer system, which has its own set of drawbacks and which Gianforte would clearly oppose. I mean, I think the basic takeaway is not only a little bit of a mixed message. You can kind of maybe try to square that away, and he has kind of done that; I'm not sure it works very well but, there is that issue. He also has this, just more fundamental problem, which is that what he's proposing just doesn't work very well once you get beyond a one sentence talking point, and that really came out in the interview with Eric I thought. SM: And Chuck, Rob Quist is still having to explain some of his financial dealings. Tom Lutey of the Billings Gazette had a recent story that pointed out Quist and his wife have been renting apartments in a remodeled barn that they own, but have not been paying taxes on it as a rental property. And it's another example where his finances seem a bit questionable. CJ: Yeah that's right Sally. It's the same story, kind of same song fifteenth verse, with Quist having various financial problems. And the ads I've seen recently seem to emphasize this more than the ones that have been running talking about he'll be Nancy Pelosi's Congressman, not Montanas. And it's kind of the gift that keeps on giving for Republicans. And every time, Quist has an explanation, but it's still difficult to understand how this keeps happening. "The more I read about Rob Quist history of bad debts and tax liens, the less I would ever trust him with my tax dollars. "Newspapers say Quist has been sued for breach of contract, deceit and fraud. Quist faced multiple warrants for failing to pay his taxes. He stiffed a contractor who did work at his home. How is that from Montana values? Rob Quist should learn to manage his own finances before asking to go to Congress and manage ours." SM: Chuck, these are pretty effective ads I think. CJ: Well I think so, especially with the huge financial issues in Washington. On the other hand, I suspect his supporters have accepted his explanation and are more concerned about national issues. So it will be interesting to see how this plays out because these are damaging stories and it sort of has a Chinese water torture drip to it. And we'll see what difference it makes. "That's Greg Gianforte's estate. This is public land. This is where Gianforte put up an illegal fence to block access to the east Gallatin river. He sued, trying to take our land for himself, and he gave big money to groups working to sell public lands to private developers. I'm Rob Quist and I approve this message to defend our public land and water for all Montanans not just the millionaires." SM: And Rob this is a pretty cheeky ad. It has Rob Quist actually strolling the boundary of Gianforte's actual property in Gallatin County, and also a pretty effective ad I think. RS: Yeah definitely it's a fresh spin on an old issue. You know we've talked about it before, it was a prominent theme in last year's campaign. The dispute I think wasn't nearly as breathless as Quist makes it out to be, but it's certainly true that Gianforte sued the state. You know that said it's a stretch, I think, to claim that he was trying to take public land for himself. This was basically a boundary dispute that eventually got resolved to the satisfaction of both parties. The bigger picture here though, is that over the course of the campaign, defending public land has emerged as maybe the most prominent policy issue for Quist, and it's a really good one for him. Polling demonstrates strong broad support for public land among Montanans, while the Republican Party has for pretty good reason developed a reputation for being hostile to public land. Now for his part Gianforte, kind of following in the footsteps of Ryan Zinke, he says that he's a supporter of public land. And he does stake out different territory, I think, on this issue in some meaningful ways as compared to some other Republicans like say Rob Bishop and Ted Cruz in Congress, or Jennifer Fielder here in the Legislature. But a lot of public lands advocates remain very skeptical and worry that there'd be a lot of wiggle room if Gianforte's the one who ends up back in Washington. And this is also an issue that resonates, I think very deeply, with Quist's progressive Democratic base. So when you emphasize that this much, I think it not only polls well in a kind of general sense, but it's that kind of issue that really motivates your core people that you need to actually get out and vote when they otherwise might not. SM: Well it's now less than two weeks till the election and of course some people have already voted. But if the polls are right and it is a tight race, the next two weeks could be really crucial. SM: You've been listening to Capital talk weekly political analysis program I'm Sally Mauk I have been speaking with University of Montana political science professor Rob Saldin and veteran Capitol Reporter Chuck Johnson. Eric Whitney will be filling in as host the next two weeks as my summer vacation begins right now. And Chuck and Rob as always it's been great fun talking politics with you this winter and spring. Thank you so much you guys. 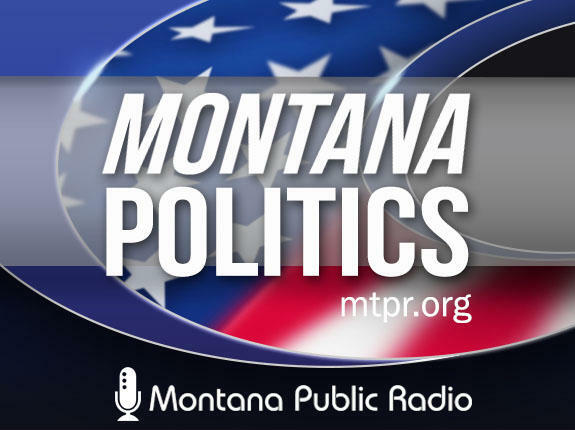 MTPR News Director Eric Whitney interviews Republican candidate for Montana's US House seat Greg Gianforte about the healthcare bill the US House passed last week. 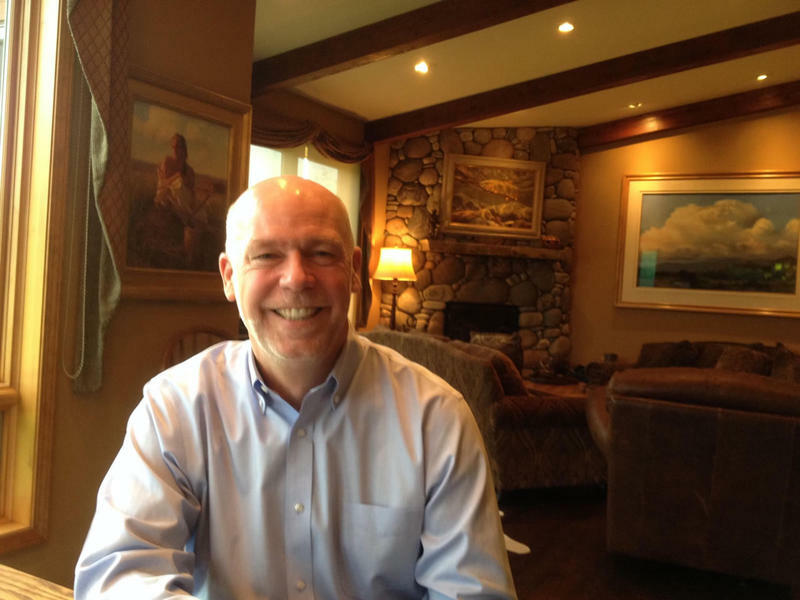 Yesterday I spoke with the Republican candidate for Montana's US House seat, Greg Gianforte. ERIC WHITNEY: When we last talked to you about the House healthcare bill, last Thursday, that was the day the House passed the bill, at the time you told us you need a little more time to study it before you could say whether you would have voted for it. So, would you have voted for the House bill? 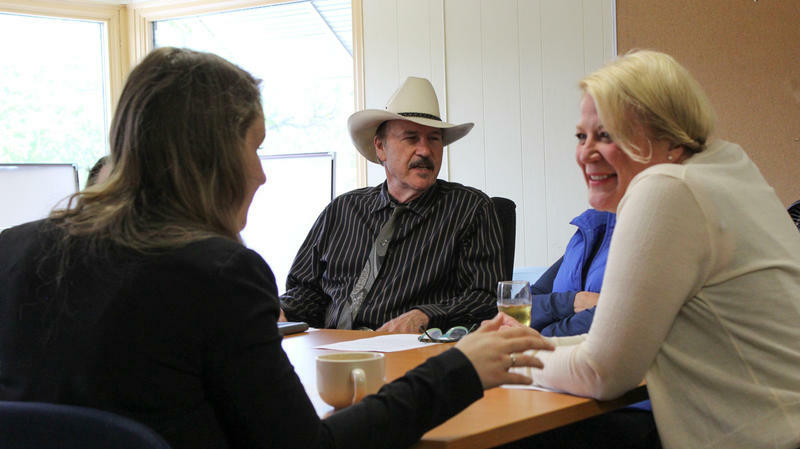 Before Rob Quist became a politician, or toured the country in a bluegrass band, he lived in Cut Bank, a rural Hi-line town near where the Rocky Mountains meet the eastern plains. The young Quist lived on a ranch just north of the town with his family. Back then, Cut Bank was one of Montana’s big-time oil producers, Quist was his high school’s student body president, and he helped the Cut Bank Wolves win a state basketball championship, leading the team in scoring in the title game.